1. Southern’s last trip to Portsmouth was on August 29, 2015, a game in which the Tornadoes won 21-18 over the Titans with a last-second goal line stand. 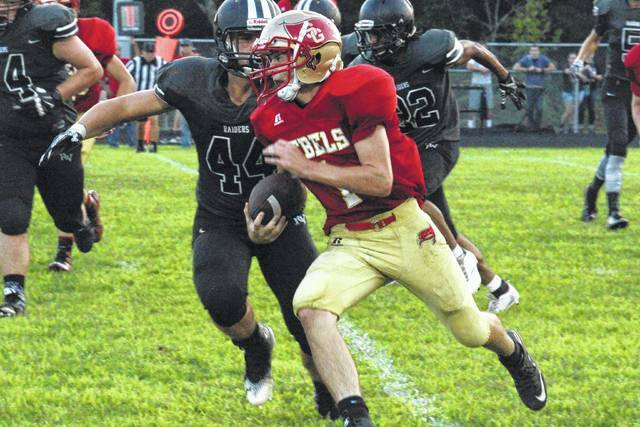 South Gallia quarterback Kyle Northup runs past River Valley’s Gabe Stapleton (44) during the 2017 Jamboree game.